Starting in September, Tilba Fire Brigade will launch an ambitious program to update their data base on all houses in their area. They will be coming around knocking on doors, and looking forward to saying hello, and getting to know you and seeking your assistance. This project will start in Mystery Bay, and is expected to take a couple of years to complete for the entire area. 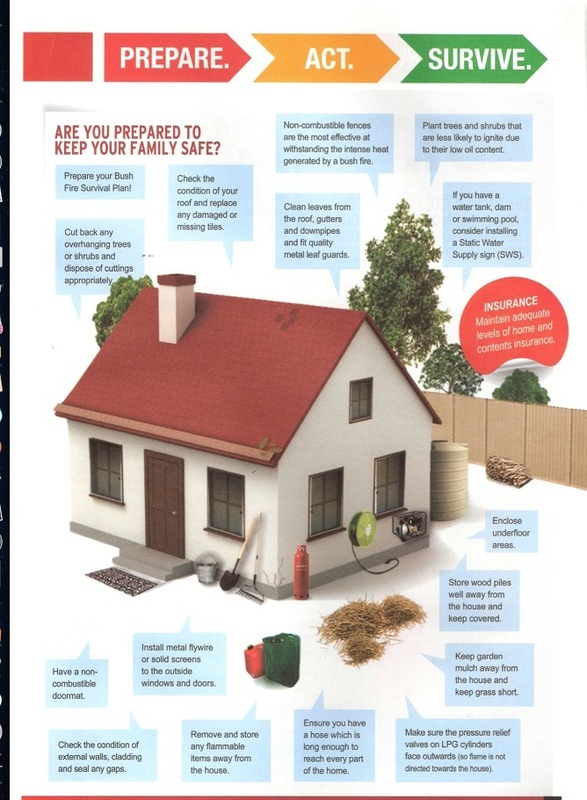 The aim is to obtain as much specific information as possible about risk areas of homes in case of a fire event. We will GPS your location and give it to you, if you would like it. Your address and location can help our Fire Fighters, gain much more information and know what we are dealing with before we get there. We ask for your approval for inclusion in the Data Base. Participation is voluntary, but it will help us to help you. In addition, we ask you to note that whilst no permit is required for burning piles of rubbish during the winter period, it is still required that you give 24 hours’ notice to your neighbours as well as Fire Control in Moruya on 4474 2855. Brochures are available. Ring 4474 2855 for more information. The latest weather prediction coming from sea temp is that there is an 80% chance of a late winter, early summer El Nino. It is thought that if this event occurs it will be reminiscent of the 1982 drought. From experience, most El Nino events happen shortly after above average rain full. So now is the time to get ready. This entry was posted in Author/Contributor, Harry Bate. Bookmark the permalink.